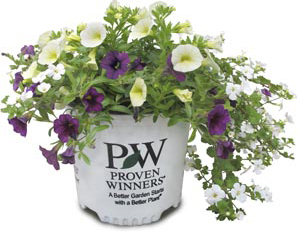 Proven Winners® and Proven Selections® annuals are offered in 4.25 Grande™ containers. 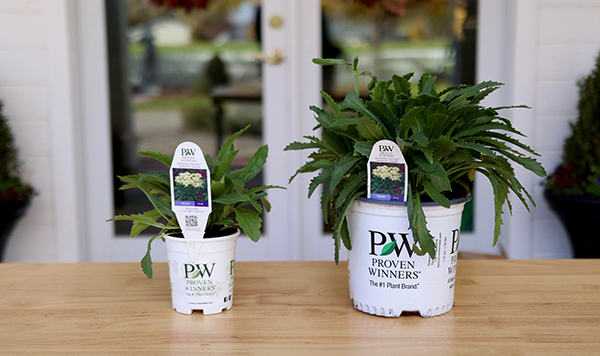 This is an excellent size to create hanging baskets, combination containers and plant in your landscape. 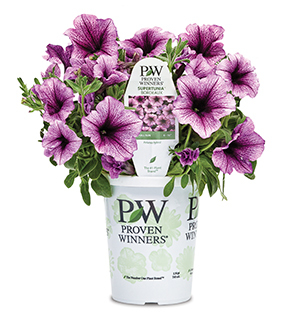 Proven Winners® annual combinations are offered in 1 gallon (8 inch) containers. 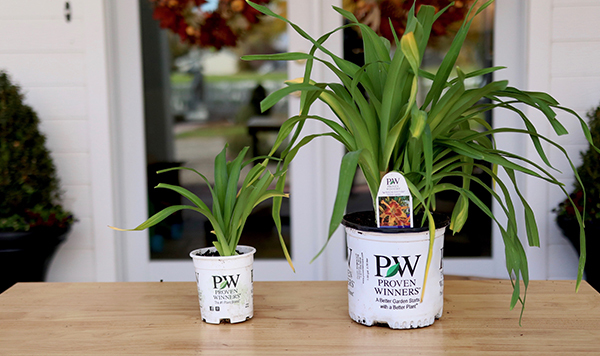 These pre-assembled combinations can be planted directly into your own containers and hanging baskets. 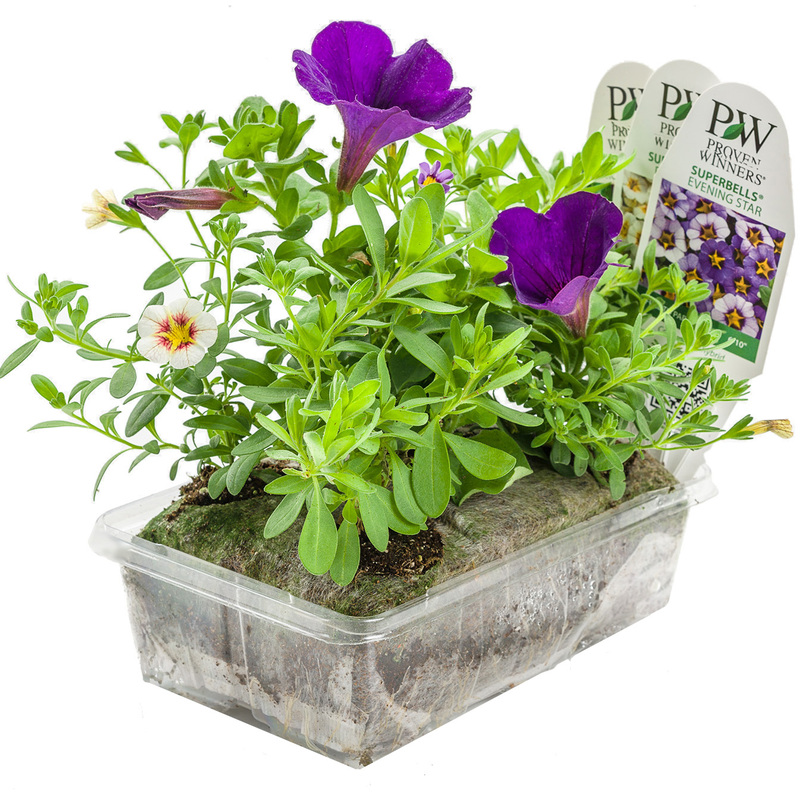 The pre-assembled, 6” x 4”, flower-filled pillow is perfectly sized to fit your 12”-14” container, hanging basket or window box. 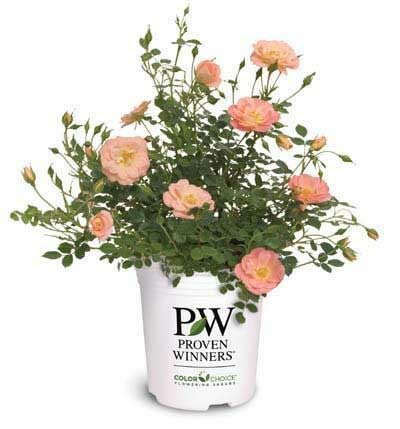 Proven Winners® perennials in quart size containers are generally 1 year old plants. This is an excellent size to start with for those who want to start small and watch them grow. 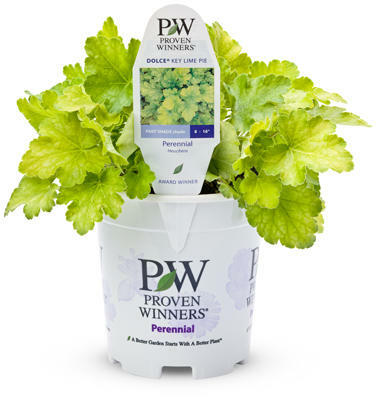 Proven Winners® perennials in 1 gallon containers are generally 2 year old plants. This size is meant to offer that 'instant garden' as quickly as possible. 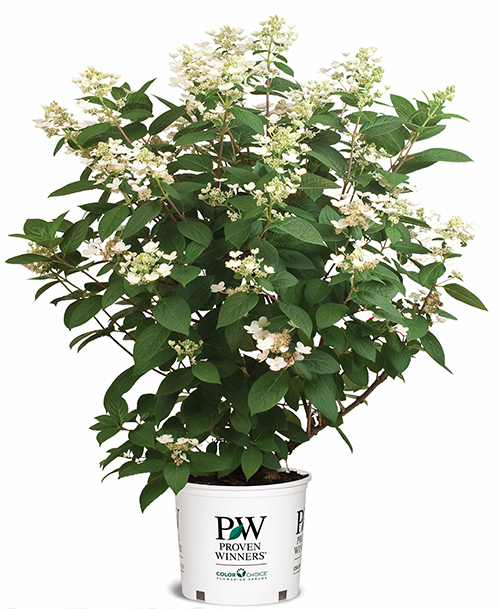 They are an excellent choice for planting in your landscape or in large containers. 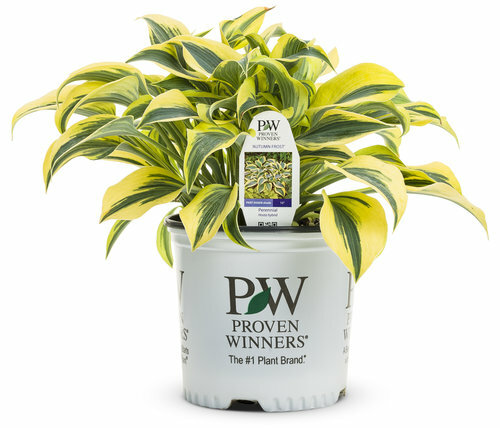 Proven Winners® ColorChoice® shrubs in 1 quart containers are generally 1 year old plants and approximately 4-6 inches tall. They will take several years to mature. 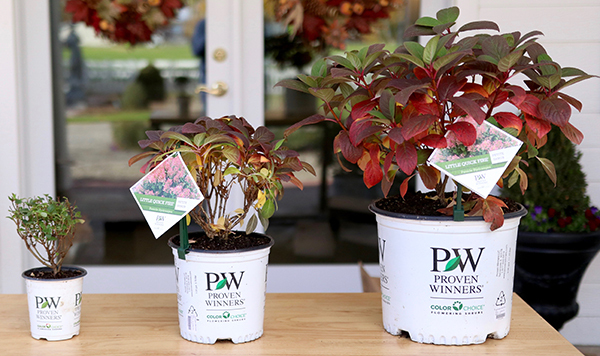 Proven Winners® ColorChoice® shrubs in 1 gallon containers are generally a 2 year old plant and approximately 10-12 inches tall. This size is meant to offer that 'instant garden' as quickly as possible. 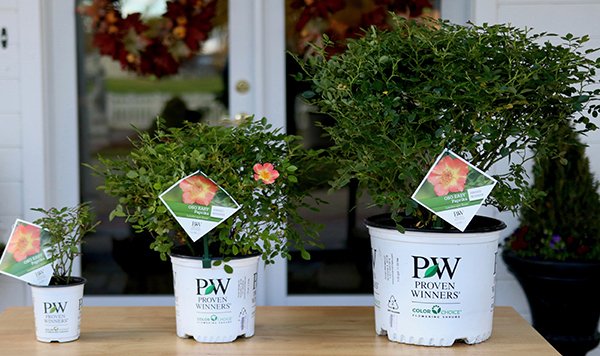 Proven Winners® ColorChoice® shrubs in 3 gallon containers are generally a 2-3 year old plant and approximately 18-24 inches tall. This size is meant to offer that 'instant garden' as quickly as possible.